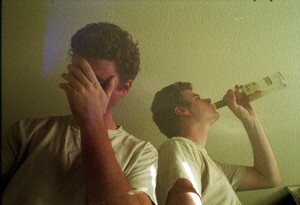 Parents Who Binge Drink - Don’t Be Surprised When Your Teens Do Likewise! If one or more parents at home drinks heavily, how does this impact the children in the house – specifically, are these kids at greater risk of drinking problems themselves later in life? Researchers at the National Center on Substance Abuse and Addiction at Columbia University (CASA) do a lot of research on alcohol and the family to be able to answer questions like this. Here are some facts from their 2009 National Survey on American Attitudes on Substance Abuse XIX that show just how affected children are by a parent drinking heavily in the house. It’s fairly clear that we do as parents matters and that when we try to prescribe behaviors to our teens that we do not follow in our own lives, our kids are quick to spot our hypocrisy! Teens who abstain from drinking until the age of 21 have almost no chance of developing a drinking problem over the course of a lifetime. It seems that if wish our children to steer clear of experimenting with alcohol and drugs we need to set a good example in the home! Teens of parents who believed that some future drug use by their children was very likely were an astounding 10 times more likely to have used marijuana than teens of parents who believed that their children would never use drugs. Practice what you preach and if you drink, drink only in moderation; stay involved in the lives of your children, talk to your children about drugs and alcohol and make sure they know that you do not condone any experimentation with use – if you do these things you do much to keep your kids safe and healthy.